With the launch of iPhone iOS 4.3, Apple also released SDK 4.3 compatible with it. It brings new APIs along with a whole lot of opportunities for the developer to design innovative applications for devices using the new features. 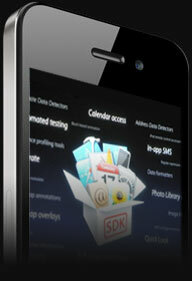 These features will allow iPhone SDK programmers to further enhance iPhone application development. Our team of skilled iPhone developer and programmer are updated with the latest technologies to supply our clients with optimized software solutions. Following the SDK 4.3 guidelines and using the iOS 4.3, they seek excellence in programming dynamic and interactive applications. Develop various apps that can make use of the four to five finger multi touch feature. Our passionate iPhone developers are always keen to develop and deliver the best possible app to our clients using all the above mentioned features of the latest iPhone SDK.